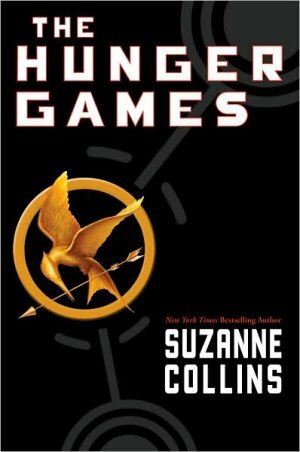 Everyone, it seems has read this truly impressive book by Suzanne Collins. My only regret is that I didn't read it sooner. 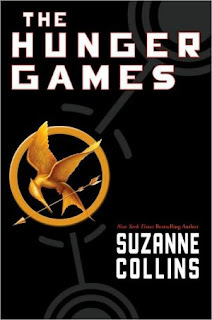 Set somewhere in the future The Hunger Games is an annual event where 24 teenagers are selected through a lottery across the 12 districts of Panem (what is left of the United States in this future world) and pitched to fight against each other in a, to the death, winner take all, reality TV program. Katniss and Peeta are the contenders from district twelve. The narrative is told in the first person from Katniss's perspective. She is sixteen and volunteers for the Hunger Games to save her younger sister Primrose from having to take part. Katniss has been providing food for her family by hunting, since she was eleven. after her father was killed in a mining accident. The Hunger Games can be enjoyed on many levels, and all of them are pitched perfectly. This is a story that I imagine would appeal to young and adult readers alike. Everyone has reviewed this book, so I don't feel the need to carry on with a lengthy review here. I am the one who has been slow to this party. So let me just add to the chorus that I was amazed and captivated by The Hunger Games. I couldn't put it down. 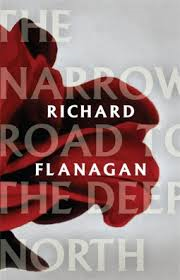 It is well written, dramatic and moving. I can't recommend it highly enough. And feel certain that I will be looking more closely at YA fiction in the future. This is one of the most enjoyable reads of the year for me. As a brief postscript, the first thing that came to mind when I was reading The Hunger Games was a short story by US writer Shirley Jackson called The Lottery. For those of you who love The Hunger Games and are unfamiliar with this short story, originally published in The New Yorker in 1948, I encourage you to check it out. I don't know if the short story was any sort of inspiration for Collins. The Lottery by Jackson captures some of the same chilling themes very well. A. LOVE your first line. That was how I felt. Wasn't this just such an amazing read. I recently lent it to a friend who definitely doesn't read YA and she expected that she wasn't going to like it. Next time I see her I have to give her the next couple of books. What's interesting and new to me in your post is that you say the name of the future country is "Panam" and is set somewhere in North America. This may be a typo, but it got me thinking; the spelling in the book is "Panem" - which is Latin for bread - as in "bread and circuses" - the euphemism for the debauched gladiatorial era. BUT Panam sounds like Pan-American as in the Pan-American Games or the airline. Both would make sense, and both may be intentional by the author. I too was reminded of the Shirley Jackson story and figured Collins "must've read it." Have you read the next two books yet? All of my reading friends tore through them all one after the other. You're right, should be Panem of course, typo on my part. Will correct. But I did have in my head that it represents what was left of the United States after some sort of future apocalyptic event. So maybe the typo was influenced by this. I did not know the Latin translation, which just adds another layer doesn't it? As to reading the next two books, I have not embarked on them yet. I am not sure the magic will be able to be repeated for me. It sounds counter intuitive but at times I will hold off a series for a while where I have enjoyed the books immensely. I have still not read the final book in the Stieg Larsson trilogy, even though I really liked the first two. I am one of the few who has not read this series, but I did read The Lottery years ago, and remember being quite affected by it.